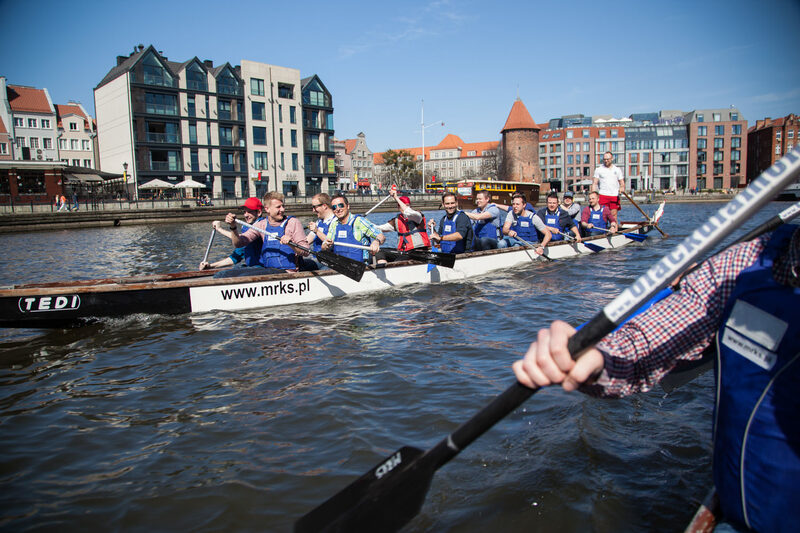 Visiting Gdansk with a group of friends? 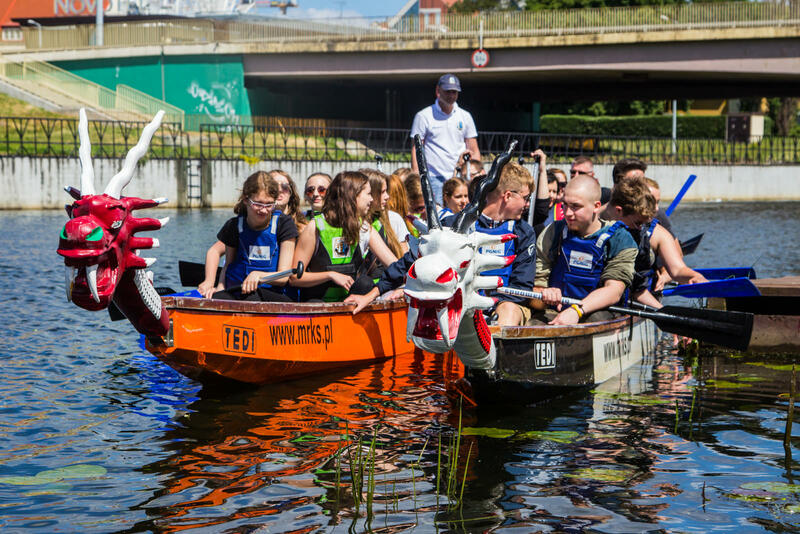 Try your hand at the dragon boat adventure race. 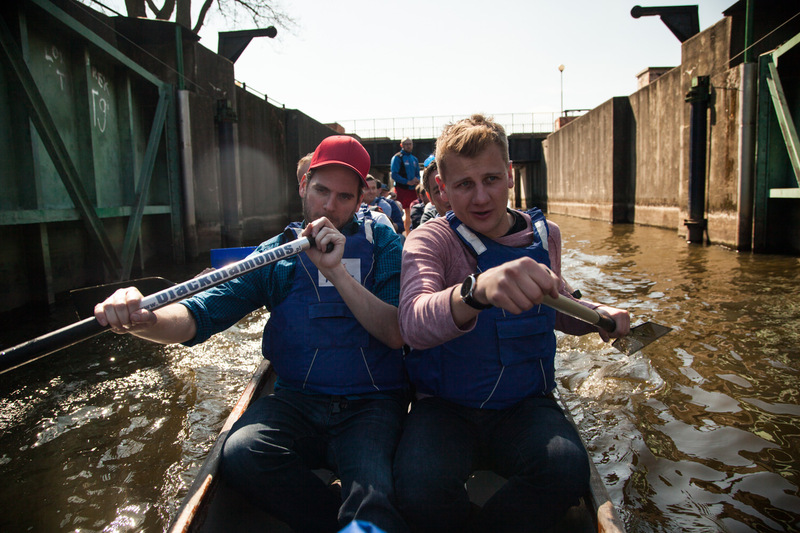 Dragon boating quickly gets everyone working together and having fun. 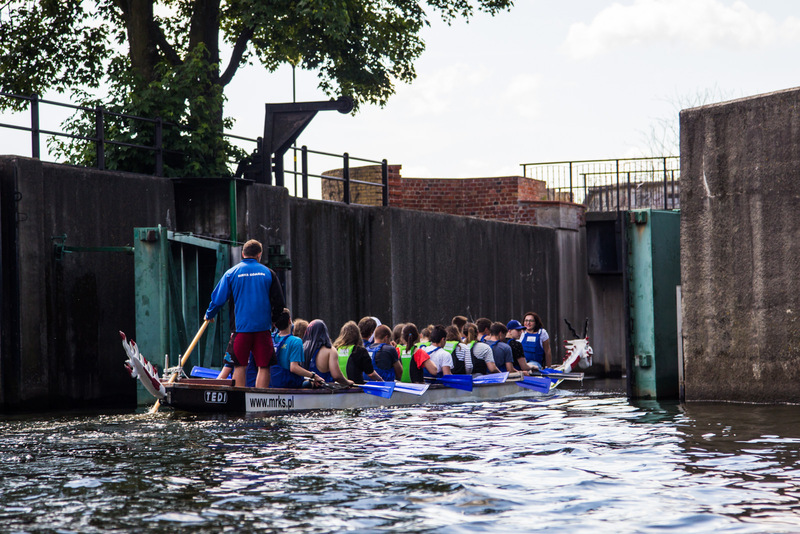 It requires no previous experience and is ideal for people of all ages and fitness level. 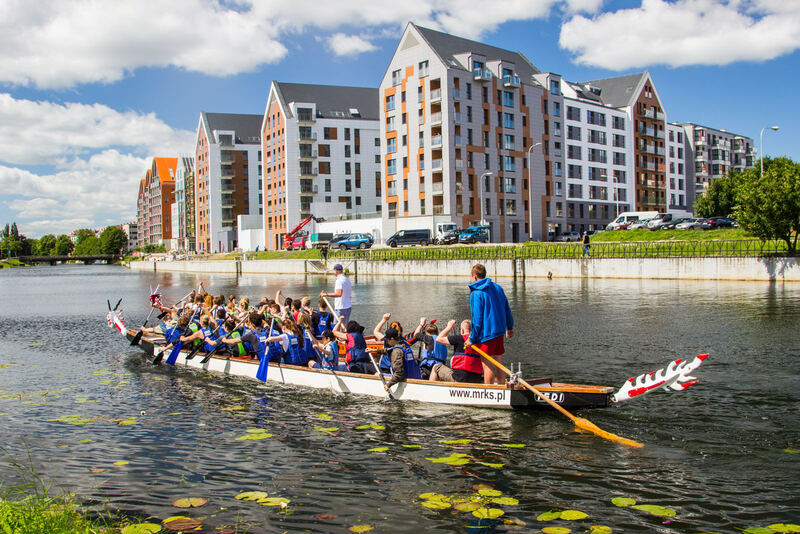 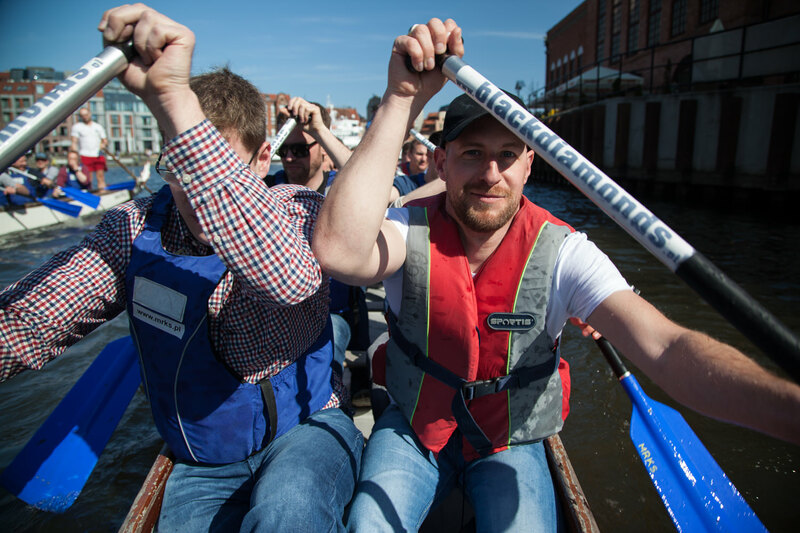 Dragon boat adventure is also a unique occasion to experience the thrill and excitement of rowing through the heart of Gdansk. 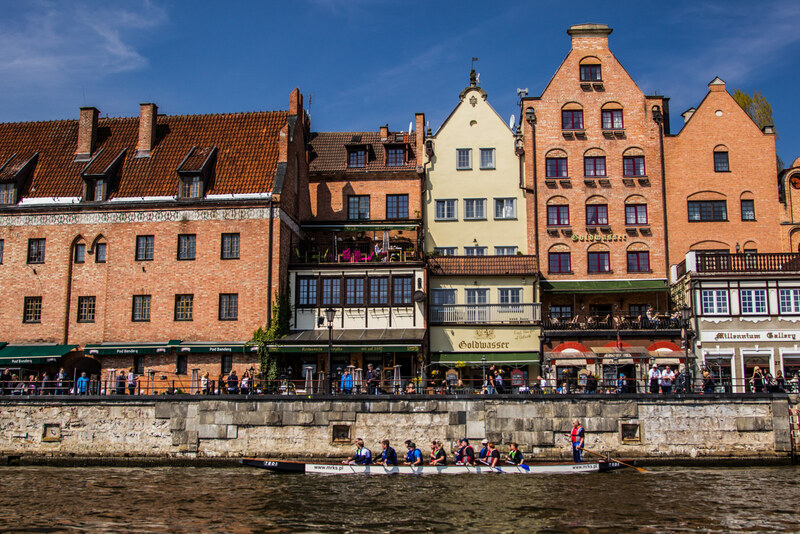 From an exclusive point of view you can admire the historic Gdansk sights along the Motlawa Canal. 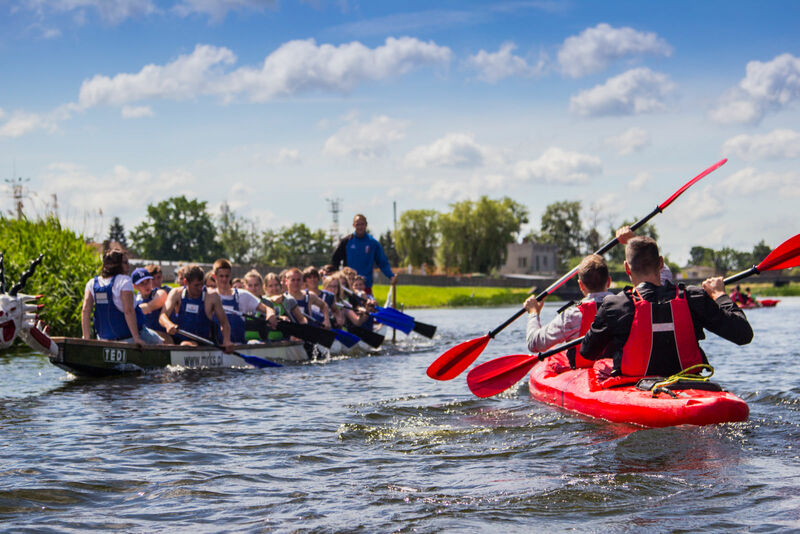 Before hitting the water there is a safety briefing and a series of warm up and coordination exercises on land to prepare everyone for the challenge. 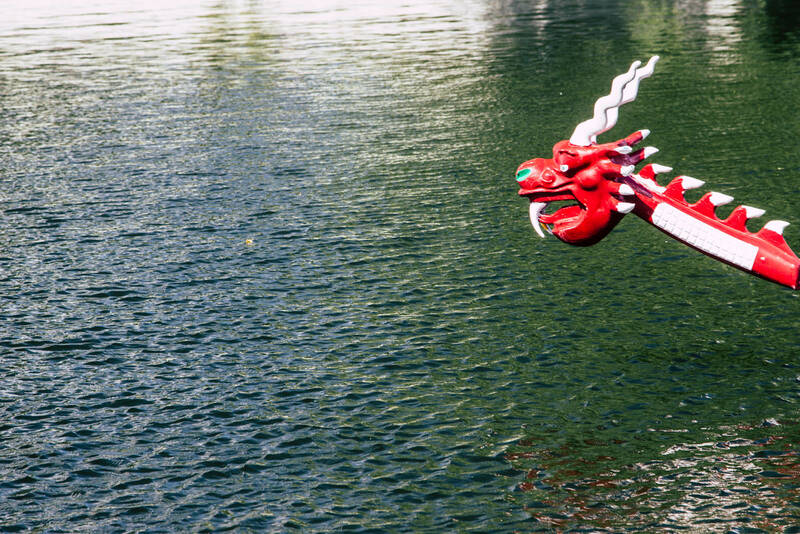 The Dragon Boat is a traditional Chinese watercraft. 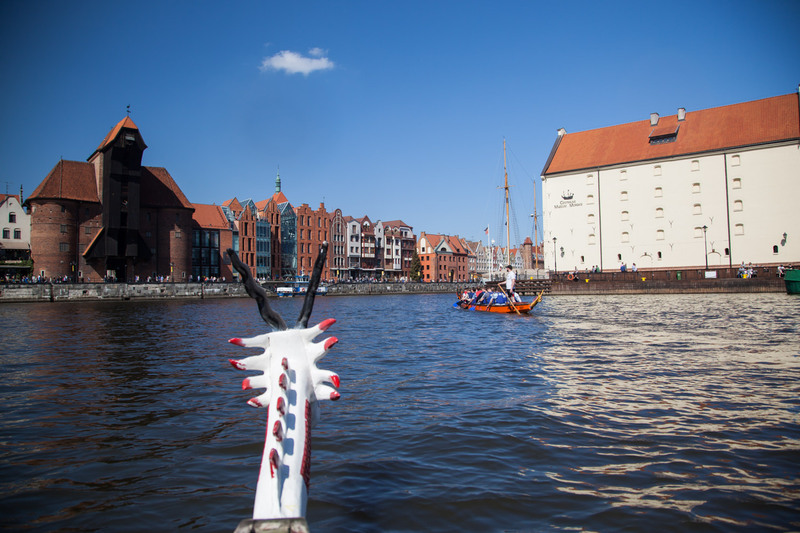 It dates back to ancient times and is characterized by a colourful dragon head positioned at the bow. 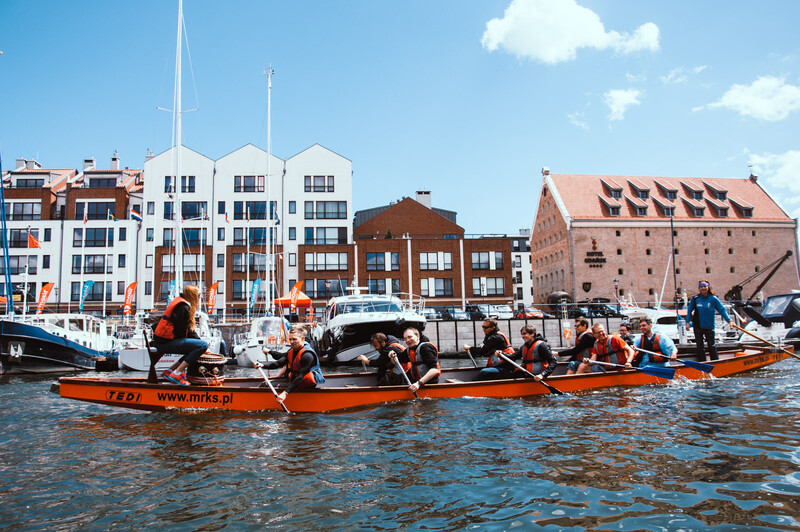 The crew of a standard dragon boat is typically about 20 paddlers in pairs facing toward the bow of the boat, drummer or caller at the bow facing toward the paddlers, and steerer standing at the rear of the boat. 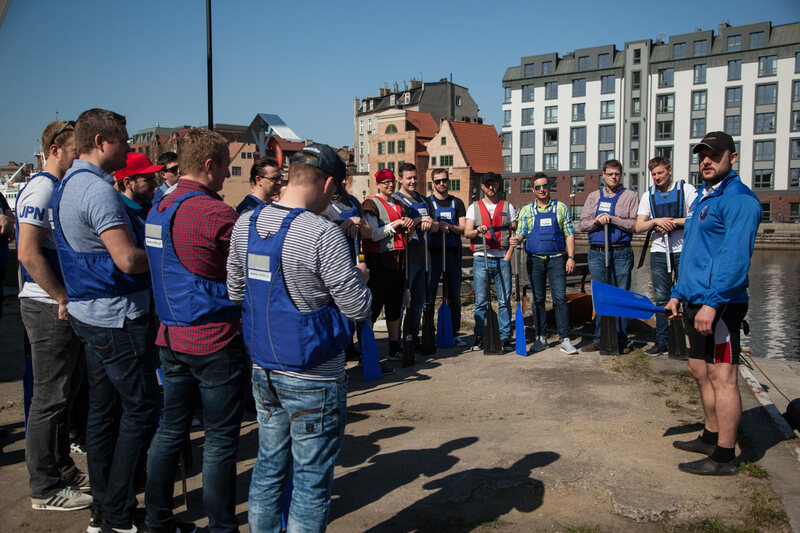 However the minimum group size is 10 people. 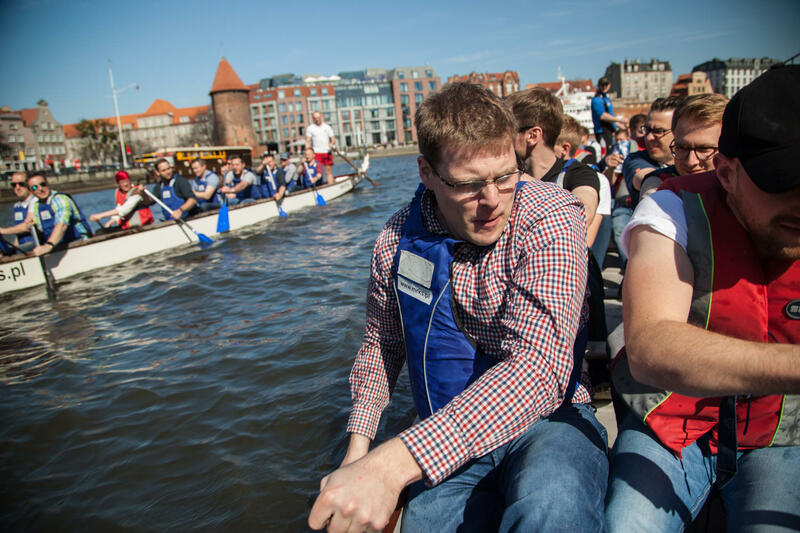 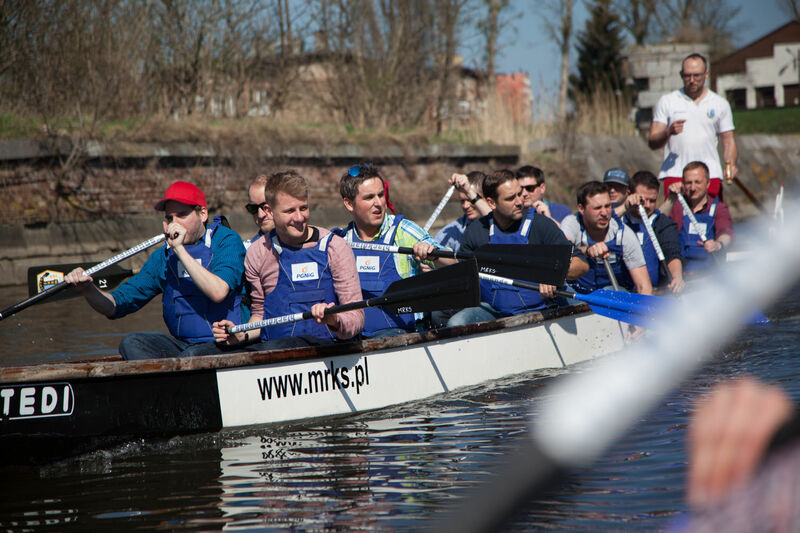 For larger groups we provide two boats and can organize a head to head race with your colleagues.